The metro line was supposed to run from Drakestraße in Berlin’s southwest via Steglitz and then across Berlin to Potsdamer Platz and Alexanderplatz all the way to Weißensee. 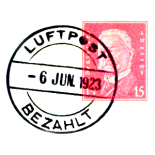 As early as in the 1920s first ideas for a new line were considered … but only in 1955 it was projected as ‘Linie F’, later labelled ‘U10’ – much later: in the 1970s. That was after an underground station was built at Innsbrucker Platz in the middle of the 60s. Or rather, construction was started … but never finished. These are the tunnels into which I descended today. Behind a pretty unremarkable door in today’s station – busy people brushing past on their way to the U-Bahn, not a bit aware of what’s waiting behind these walls – another dark corridor is leading deeper into the underground, wooden makeshift stairs pointing the direction. In the dim light of a pocket lamp I slowly enter the deep dark tunnel. Bleak concrete walls and lonesome platforms – no people brushing past, no passengers on the lookout for their train, no-one hastily buying a coffee-to-go at a station kiosk. No tracks. No nothing. Well, no – not entirely nothing. Once my eyes got used to the murky twilight downhole, I set out to delve deeper into this darkness, exploring a tube which, apparently, never have seen a single car. But I should soon learn that the U10 was not called ‘phantom line’ for nothing. After advancing into these tunnels for some hundred metres the path suddenly … ended. Blocked by a heavy concrete wall. A gentle reminder that all these plans about expanding Berlin’s subway network came to a halt, that U10 never was finished. The story behind this construction delay and final abandonment also is a very typical Berlin history kind of story, actually. For a long time, S-Bahn train service (the metro’s overground counterpart) was operated by east German ‘Reichsbahn’ in the whole town actually – regardless the ideological division. But then (west German) BVG took over in 1984, quite some budget suddenly went into it – putting all too fancy plans to expand the subway network back into the drawer. Yes, my friend, I actually think this U10 framing still has to wait for trains. For quite some years, I guess. Excellent. I like your pictures of Berlin’s underworld. I’ll look out for the next episodes. Great photos and beautiful writing! This entry was posted on March 18, 2017 by Jens in Exploring and tagged abandoned, Berlin, subway, tunnels, urban exploring.